We’re really loving this new poster illustrated by VIDHYA NAGARAJAN for Washington University in St. Louis Sam Fox School of Design and Visual Arts. 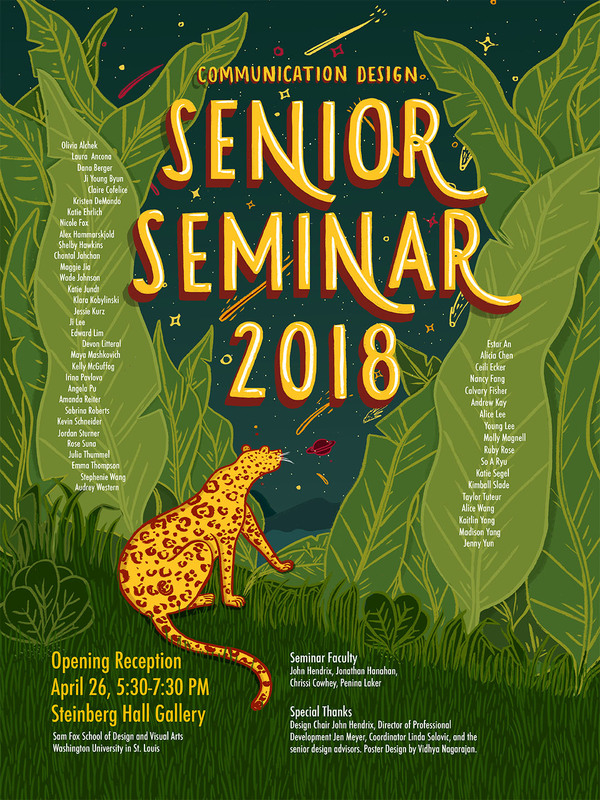 The poster was for the Communication Senior Seminar 2018 exhibition (their last show.) This was an extra special project for Vidhya since she’s an alum of the program herself and actually got to teach many of the featured seniors. Best of luck to all of you graduating seniors!